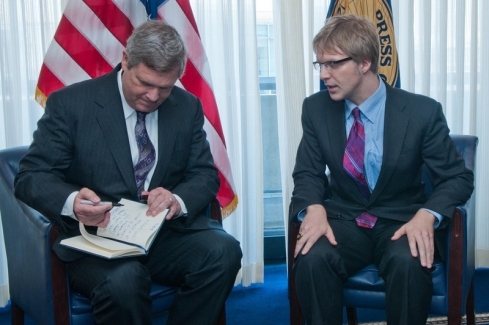 U.S. Secretary of Agriculture Thomas Vilsack signs the NPC guestbook while speaking with former NPC President Alan Bjerga prior to the Secretary's June 13, 2011 luncheon address. 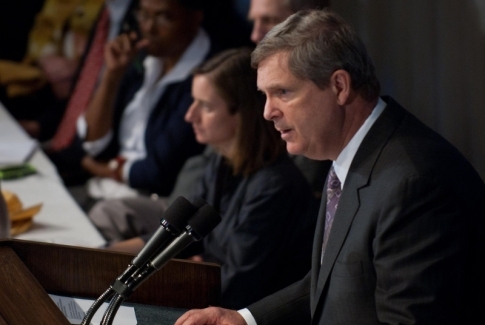 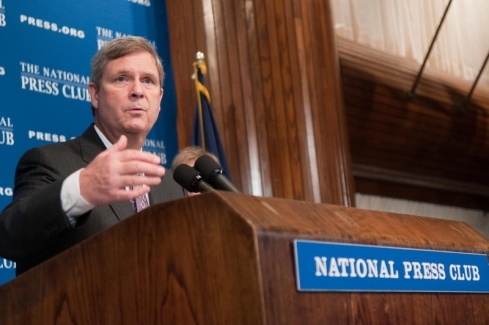 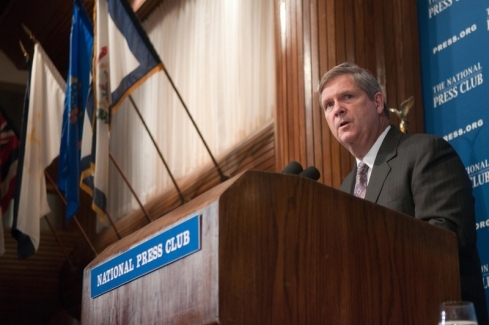 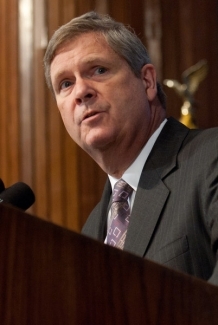 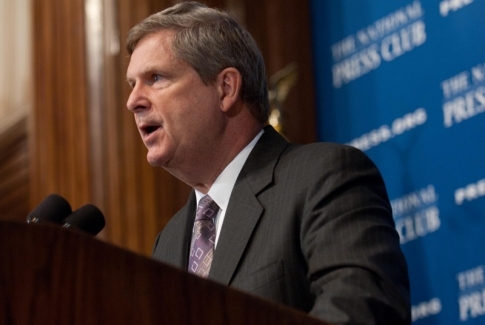 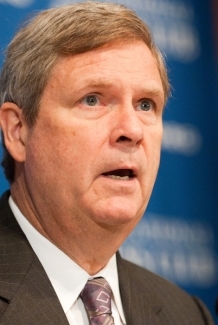 U.S. Secretary of Agriculture Thomas Vilsack addresses the National Press Club at a June 13, 2011 luncheon event. 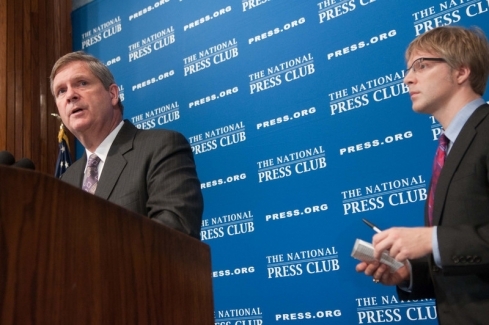 U.S. Secretary of Agriculture Thomas Vilsack (left) answers a question from former NPC President Alan Bjerga at a June 13, 2011 National Press Club luncheon event.